Lafayette, Colorado. May 14, 2014 – A team of Centaurus High School students has been selected to send a student project to the International Space Station. The project will launch on a SpaceX rocket in the spring of 2015, and data will be collected and sent back to Earth. 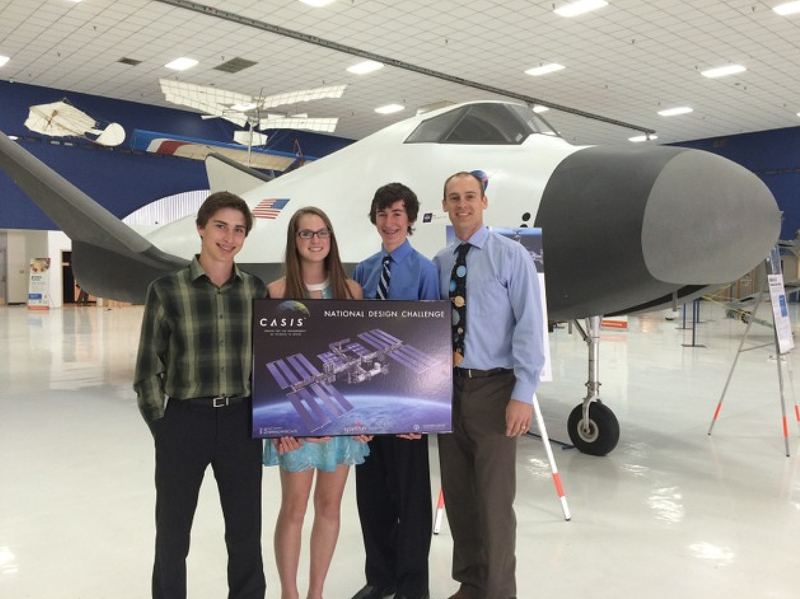 In March, Robotics classes at Centaurus High School learned about an opportunity to send a student research project to the International Space Station. Sophomore engineering students Jack Carvalho, Abby Schmid and Bryan McCarty worked through spring break to brainstorm project ideas and to create a 10-page proposal. The project is titled, “The effects of simulated gravity on bacterial lag phase in a micro-gravitational environment.” The students were chosen in April as one of three winning teams. “Whenever someone asks me about it, it stills seems unreal to tell them we are sending our project into space,” said student Abby Schmid. Centaurus will be calling upon their various engineering classes to help with the space project when school starts again in the fall. The timing of the project is perfect, with Centaurus’s new Aerospace Engineering class beginning in the Fall of 2014. Biotechnical, Software and Introduction to Engineering Design students will also be involved. The Centaurus team will partner with CU Boulder, Front Range Community College, Ball Aerospace, Texas A&M, and Sparkfun to get their research into space.